In 2015, India’s Prime Minister Narendra Modi announced the Smart Cities Mission. 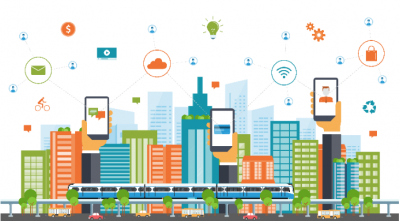 The objective of the Smart Cities Mission is to upgrade 100 existing cities or build new Smart Cities in India. These cities are to provide core infrastructure, a higher quality of life to residents, and a clean and sustainable environment through the application of sustainable solutions based on inclusive development. To achieve the Smart Cities Mission, the country aims to enhance physical infrastructure, such as reliable clean water, electricity supply, sanitation, solid waste management, public transport, IT connectivity, citizen safety, as well as provide social facilities such as health, education, and recreational facilities. Additionally, technology solutions will be applied for electronic services delivery, waste to compost/energy, treatment/recycling of wastewater, renewable energy, green buildings, intelligent traffic management, and parking, among other issues faced by cities. The Indian government clearly defined what they meant by “Smart.” Over half of the 11 objectives were environmental and main components of the metabolism of a city. Chlorine chemistry will play a vital role in accomplishing India’s Smart Cities Mission. Products of the chlor-alkali manufacturing process, chlorine and sodium hydroxide, are essential to manufacturing PVC pipes that transport water, energy-saving vinyl windows, fiber optic cables and computer chips for IT infrastructure, solar power panels that generate electricity, “pickled” steel used in construction and electricity distribution, treated water, and many other products. While India strives to enhance the livability and sustainability of its cities, chlorine chemistry will continue to be a key element to attain the goals of the Smart Cities Mission.